From animals to people and even to the things around us, there are many things that we can celebrate and be thankful for. At the same time, it is easy for us to take these things for granted in our everyday life. The people of Nepal however, do not discount showing affection to the people and things that they are thankful for and are unafraid to show it through a five-day long festival called Tihar, which is also the Nepalese’s version of Deepavali or Diwali (the festival of light) that is celebrated in Singapore as well. Tihar, rooted in Hinduism, falls either in October or November as the dates are decided based on the Hindu calendar. The celebration lasts for five days with each day devoted to honouring a deity (an animal) or to celebrate their kinship with their family members. 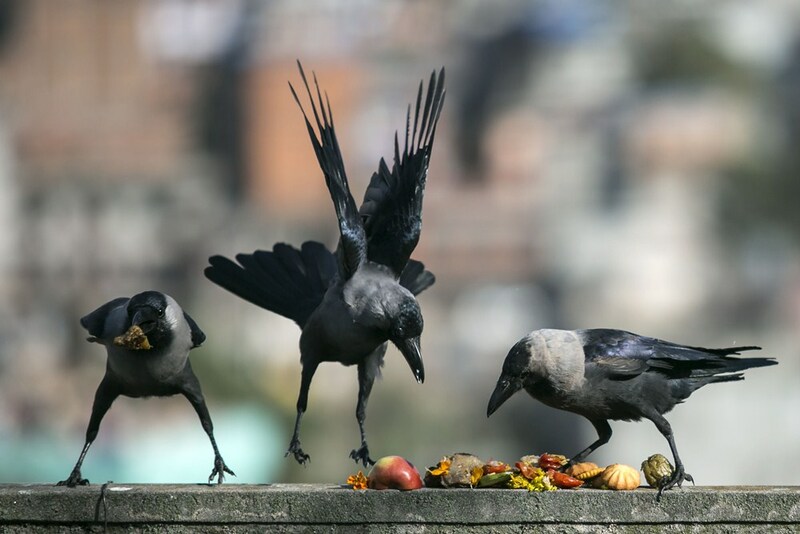 The first day of Tihar is called Kaag Puja¹, on this day the people of Nepal pay their respect to the crows. According to Hindu religious history, the cawing of the crows symbolises sadness and despair. (Interesting side note: Crows are also perceived in the Western literature as a symbol of sorrow and death, as portrayed in Edgar Allen Poe’s famous poem ‘The Raven’.) Due to this belief, devotees are often seen offering ceremonial sweets and delicacies on banana leaves to the crows on rooftops in hopes of preventing grief and death in their homes. As crows are believed to be the messengers of the Hindu God, Lord Yamaraj, God of Death, it is deemed important to keep them happy to prevent them from ushering in unfortunate events in the coming year. Dogs have long held a special place in Nepal’s Hindu culture. In one Hindu story, Yudhishthira, the king of righteousness, refused to enter heaven without his devoted dog. 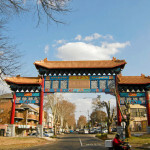 The dog is revealed to represent the concept of dharma, the path of righteousness. Dogs are also believed to have the ability to perceive approaching dangers. Kukur Puja is therefore a day to celebrate the relationship between man and dog. A garland of flowers would be draped around the neck of every dog including pet dogs, police canines and stray dogs as well. This floral necklace, called a malla², is a mark of respect and dignity. It signifies the important status ascribed to the wearer, and also acts as a form of blessing to the dog. 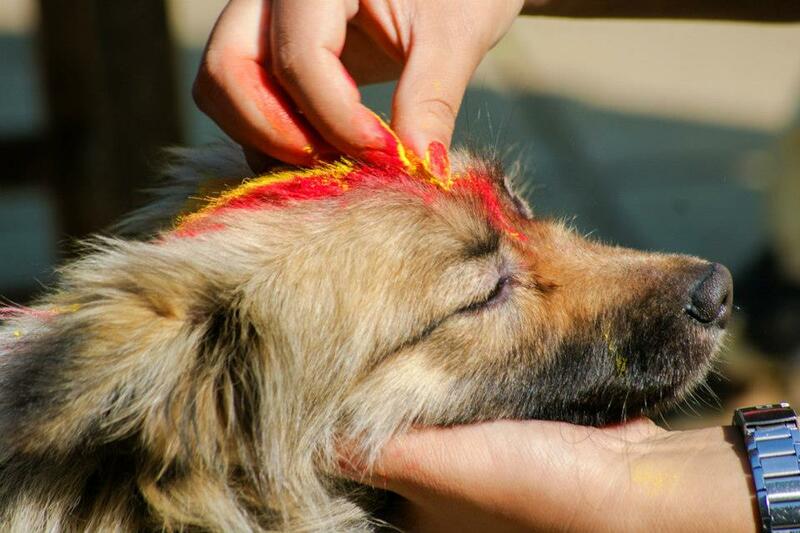 A red mark called tika³ is also applied to the forehead of each dog. 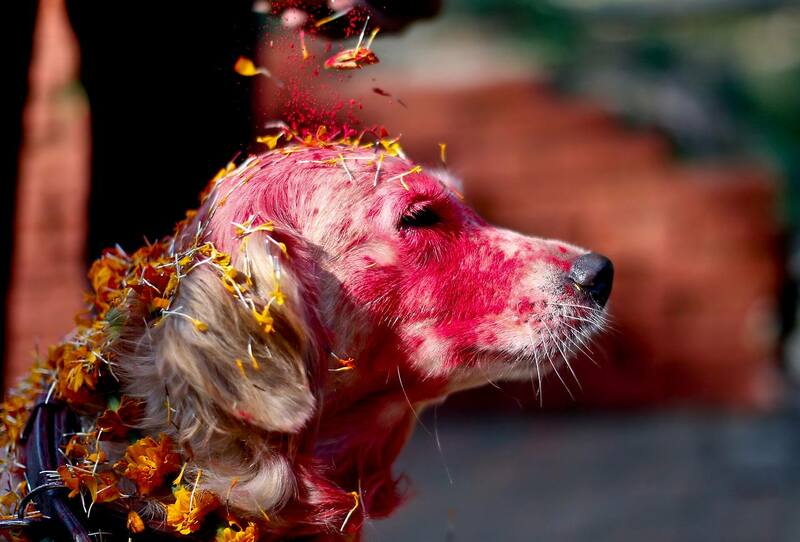 Just like the flower garland, the red tika marks the dog as both a devotee of the righteous path and as an object of devotion. 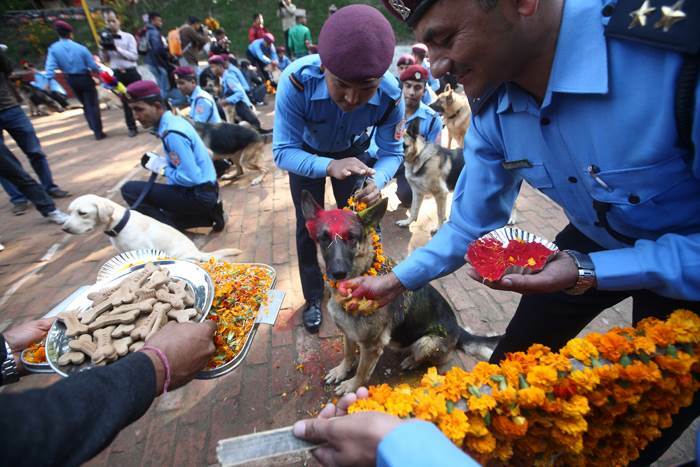 While prayers and flowers are certainly nice, the highlight of Kukur Tihar for the dogs remains all the delicious offerings that they will usually receive. Food offerings are given to dogs at home, as well as to stray dogs in the streets and usually take a variety of forms. Differing from individual to individual, dog treats often include milk, eggs, meat, and sometimes even high-quality dog food. Some may even offer dogs a bit of sel roti­4. With such luxurious offerings, the dogs must feel like royalty on this day! ² Malla – A traditional flower garland worn around the neck that signifies that the wearer is of status and importance. ³ Tika – A red paste made of red dye powder, yoghurt and rice. Tika is usually only red but there will sometimes be other colours added, an example is the seven-coloured tika applied during Bhai Tika on the last day of Tihar. 4 Sel Roti – A Nepalese sweet rice doughnut. 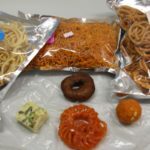 It is mostly prepared during Hindu festivals. Gai Tihar (Worship of the Cow) takes place on the morning of the third day. 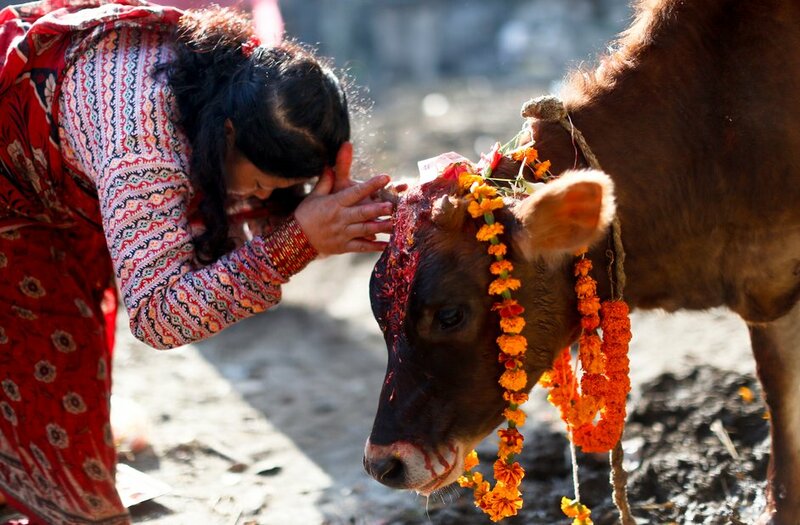 The cow is sacred in Nepal and represents mother earth, prosperity and wealth. While cows generally get a lot of attention all year round, everything is amplified on this day! People show their gratefulness by adorning the cows with flower garlands around their neck and tika on their foreheads. Once it starts to get dark on the evening of the third day, Laxmi Puja (worship of Laxmi, the goddess of wealth) is carried out. The Hindu goddess of wealth, Laxmi is honoured by lighting up oil lamps in the doorways and windows of homes. People also sometimes create pathways of dye with little white footsteps as they believe this will help to guide the goddess into their homes. On the fourth day of Tihar, three different rituals will be performed respectively, depending on a person’s specific cultural background. The fourth day is observed as Goru Puja (worship of the oxen). People who follow Vaishnavism perform Govardhan Puja (worship of the holy Govardhana hill). 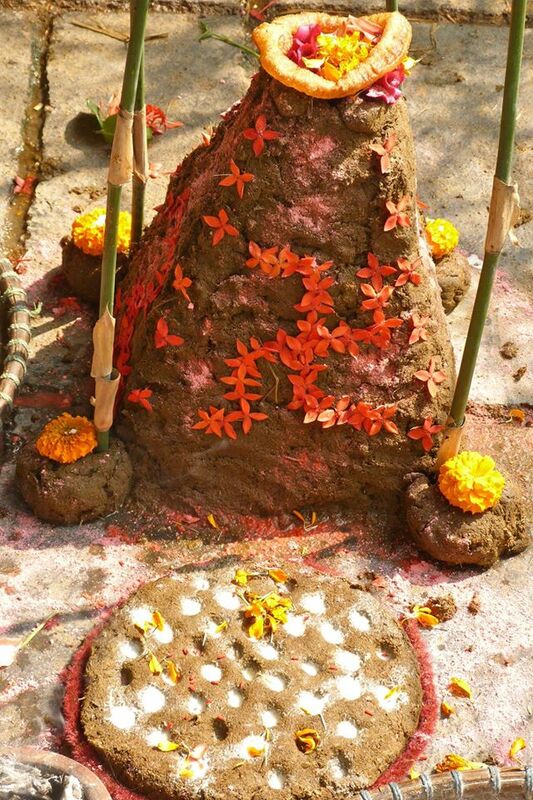 Cow dung is taken as symbolic representative of the mountain and is worshiped. Additionally, the majority of the Newar community will also perform Ma Puja (worship of self) at night. 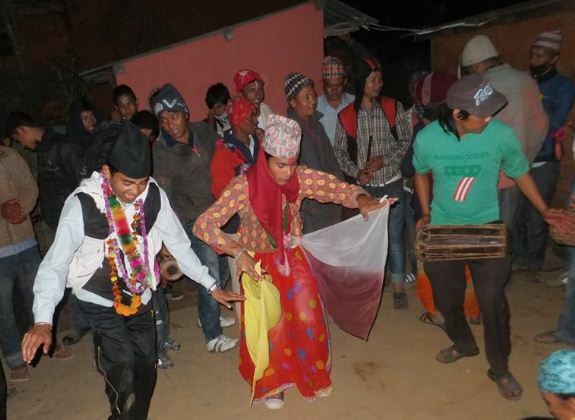 The fourth and fifth days of Tihar are also celebrated with the singing of Deusi or Bhalio, these are traditional songs that depict the history of the festival. Deusi is mostly sung by the boys while the Bhailo is sung by the girls, one person in the group will be narrating with the rest as the chorus. Children and teenagers would go door to door in their community singing songs and dancing. At the end of their performance, the woman of the houses will serve food and give money to these youngsters. In return, the Deusi or Bhailo team would give the household blessings of weath and prosperity. Nowadays, it is not uncommon to see social workers and politicians tagging along with the young people, to raise funds for welfare and social activities too. The final day of Tihar is called Bhai Tika, which is a day to embrace and celebrate sibling relationships. On this day, sisters put tika on their brother’s foreheads to secure for them a long and happy life. 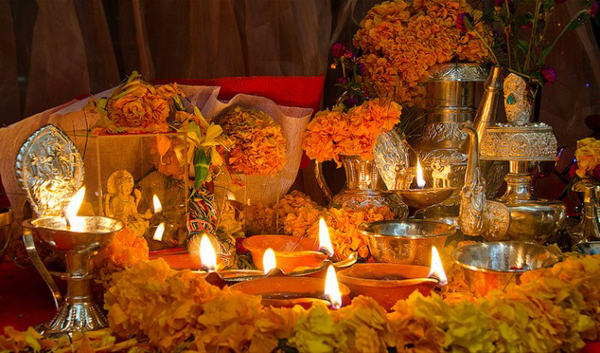 This tradition is based on the story of a Hindu goddess who did the same to her brother. As part of the festive on this day, brothers would sit on the floor while their sisters perform their puja. The puja is a prayer ritual where the sisters would circle their brothers and drip oil on the floor from a copper pitcher. Oil is also applied to their brother’s hair. 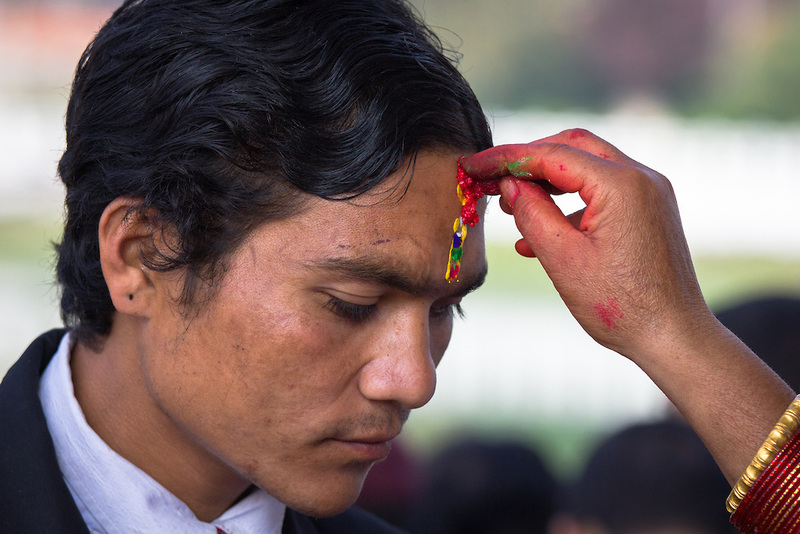 Following which, a seven-colour tika is applied on the brothers’ forehead. Sisters provide brothers with a special garland for their brothers from a flower that wilts only after a couple of months, symbolising the sister’s prayer for her brother’s long life. A sacred cotton thread of tantric importance is put on his wrist, which is meant to protect his body. 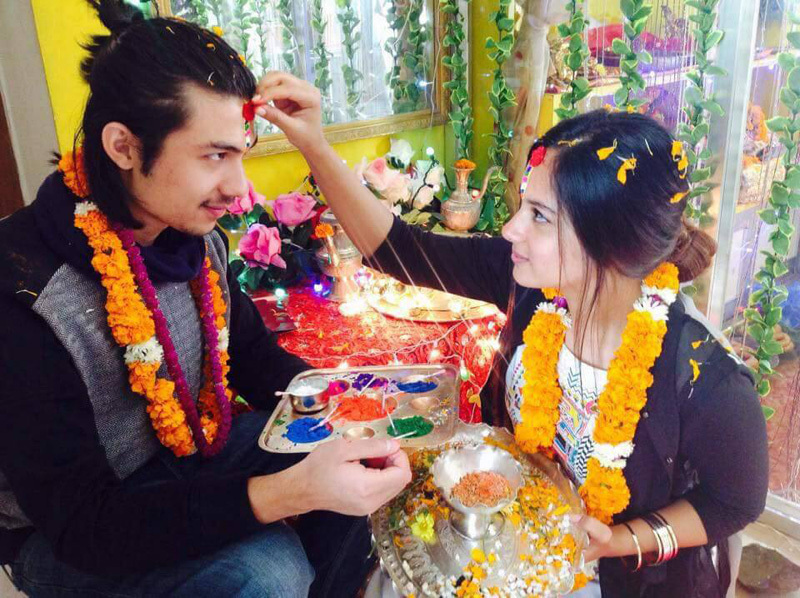 Next, brothers would give tikas to their sisters in the same fashion along with an exchange of gifts. This ritual is practised regardless of whether the brother is younger or older than the sister. If one does not have any siblings, they would join relatives or friends for the applying of tika. Nomatter what your religious or cultural background is, Tihar is a great reminder that we can always be grateful for the things around us and that simple acts of appreciation can go a long way to enrich the lives of others. Here at GoBeyond, we encourage you to visit Nepal someday and experience this eye opening five-day festival for yourself as you uncover the beauty of Nepal!